This year, I was able to go to the New York International Toy Fair for the first time as a representative of the BIONICLE wiki BIONICLEsector01 and its sister site HEROsector01. Together with fellow BS01/HS01 staff member Chols, who took most of the photos, I attended the LEGO Collectors Preview where representatives of LEGO fansites can view and photograph the new sets for an extended two-hour timeframe (our invitations unfortunately did not cover admission to the full three-day Toy Fair event, so externally-produced LEGO products like clocks and watches were not among the things we saw). Since our sites' normal coverage doesn't extend outside the constraction themes, we reached an agreement with Eurobricks to share with them our coverage of the LEGO Collectors Preview and all the sets and themes on display. 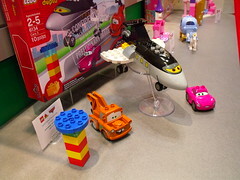 Part eleven of our coverage is miscellaneous licenses: the System licenses SpongeBob Squarepants and Cars and the Duplo licenses Disney Princesses and Cars. Most of these sets are now available, but they will be covered for the sake of comprehensiveness. Who knows; perhaps you'll learn something new! 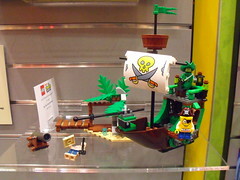 A lot of AFOLs were disappointed to learn that this set focused on the ghostly SpongeBob Squarepants character rather than the formidable vessel from the Pirates of the Caribbean franchise. The vessel in this set is fairly mediocre, but the little island is quite tasteful. 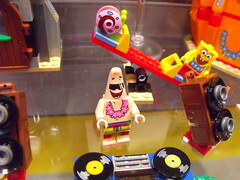 SpongeBob fans will appreciate the minifigures of the Flying Dutchman and pirate-garbed SpongeBob Squarepants and Patrick Star. 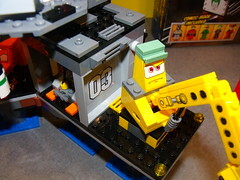 This is the third model of SpongeBob's house and the second of Squidward's. But they're both great likenesses and now have a festive theme to differentiate them from previous attempts. 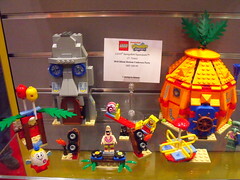 Minifigures include SpongeBob, Patrick, Squidward Tentacles, and Mrs. Puff, all in party attire, as well as Gary the snail. Formula 1 race car Francesco appeared in a few sets last year, but this impulse set of him features new mouth, eye, and rear bumper prints. 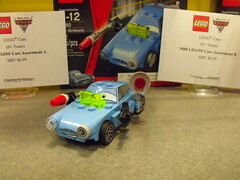 This set depicts Mater in his disguise from the casino scene in Cars 2. Kind of an obscure scene to make an impulse set from, IMO, but I'm sure the sales for any main character variant will have a certain advantage over the majority of side characters. Spy car Finn McMissile was also in multiple sets last year and even multiple sets this year. This one has new face prints and a printed missile launcher in one of his headlights. The flick fire seems a bit unnecessary, but probably gives him more playability than the other impulse sets. Here's a somewhat obscure character to non-US audiences. 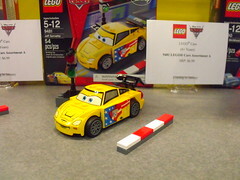 Jeff Gorvette plays a minor role in Cars 2, but is voiced by American Nascar racer Jeff Gordon. The set is nicely-printed and features a new hood/bonnet piece for this year. 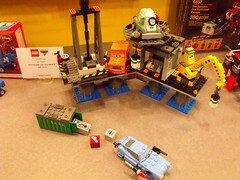 Another set based on the casino scene in Cars 2. Mater's chute and engines and new eye print make him unique. Petrov Trunkov and the ever-important video camera round out this set. 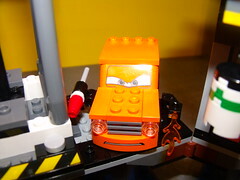 I feel Cars sets must be great for Brickfilms what with all these alternate expressions! Red didn't appear in last year's lineup, so it's nice to see him here with the evil lemon Acer. I can't say the flick-fire missile works too well for Red's water gun, though. Raoul ÇaRoule, Lightning McQueen, and Max Schnell compete in this very play-oriented set. 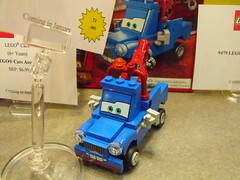 Raoul and Max are two racers who play an analogous role to America's Jeff Gorvette in the French and German releases of Cars 2, respectively. It's a shame there are only enough "slammers" for a two-way race. 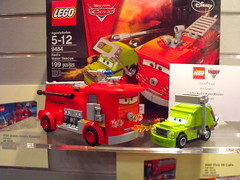 This set is based on Cars 2's opening scene, although greatly compressed. 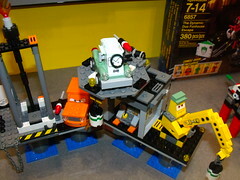 Characters include Finn McMissile, Professor Z, Grem (featured in red in 2011 sets but now in an orange color scheme that better matches the film), Leland Turbo (compressed into a metal cube), and an unnamed crane. 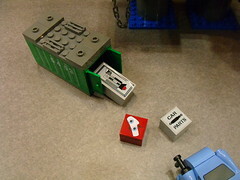 Play features include a winch, a spinning flame, and a storage container. 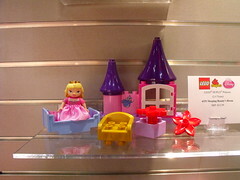 This set is a little bare-bones, and the printed fairy godmother brick appears quite out-of-place next to Sleeping Beauty, but such is the nature of Duplo. 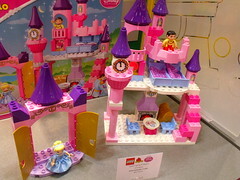 I can't see using its bricks for much besides possibly expanding the two Cinderella sets. At least the figure is cute. This has some of the boldest colors in the Disney Princesses line. Here the printed bird brick doesn't look out-of-place with the molded rabbit, and there is plenty of content to play with between the tree, table, and cottage. Don't eat those apples, Snow White! 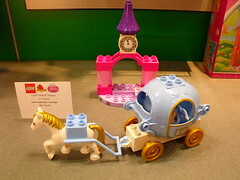 The carriage in this set is nice, but it and the horse surely drive up the price! This has great parts for expanding Cinderella's Castle (below), and the printed clock (a few minutes before midnight) and glass slipper are nice details. My does this place look cozy! 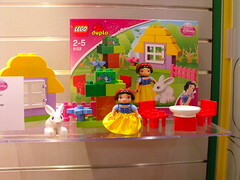 It's not as formidable as the castles from 2004-2008 Duplo, but it has much more fairy-tale charm. Details include a gold trunk, a mirror, a chandelier, a fireplace, another clock, a tray of cakes, and a royal bedroom (two beds, of course-- this is a kids' toy ). I'm surprised there's no ballroom, though. 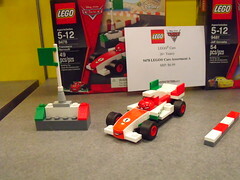 Still, it's certainly more impressive than some of the Duplo sets I grew up with. 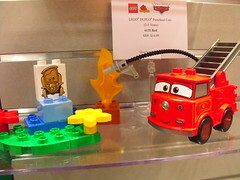 This set is only slightly less basic than the Fire Chief set from the non-licensed Duplo lineup I covered in a previous post, but the printed statue of Stanley (Radiator Springs' founder) is a nice detail. 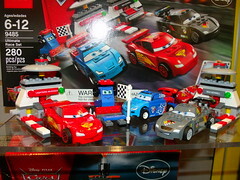 Jeff Gorvette and Lightning McQueen are the main incentive to get this set which also features a nondescript pit stop and finish line. At least the pit stop features several cute accessories like a wrench, a barrel of oil (perhaps the famous Allinol? ), and a fuel pump. 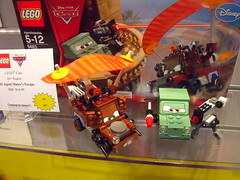 Even more bare-bones is this set featuring Siddeley, Mater, his spy partner Holley Shiftwell, and the spy plane Siddeley. Besides the characters, the only content is a rather unconvincing brick-built air control tower, but at least Siddeley himself involves some construction. 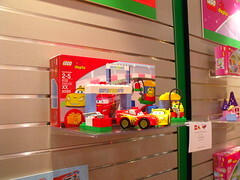 That's it for the licensed themes on display at Toy Fair! 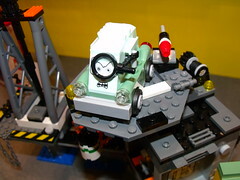 In our last section, we'll wrap things up with this year's Technic sets. Stay tuned!